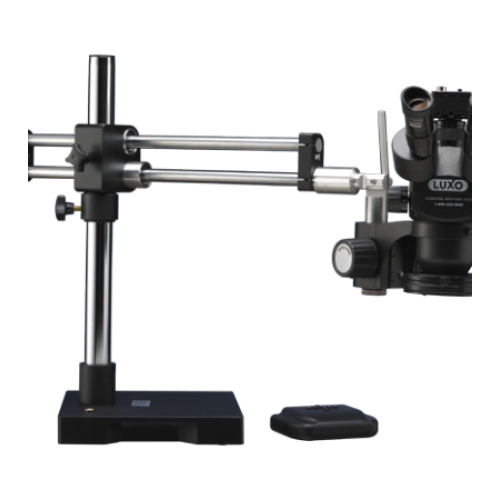 Refurbished Luxo 373RB Trinocular Stereo Zoom Microscope System (Note: Light Gray in color) with 23mm optics, 8" (203mm) working distance, 15% greater field of view and a 7X to 45X magnification range. 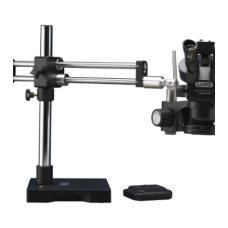 Dual ball bearing stand with 10" X 10" base, 19.5" (495mm) vertical boom and 26" (660mm) horizontal boom extension. Comes with 18746 LED dimmable ring light. Camera NOT included.